Last week we passed another big milestone on Wej. We finalized the circuit board layout, and we’re sending the board to the manufacturer (for those that are interested, you can download the eagle file for the layout and the schematic file). 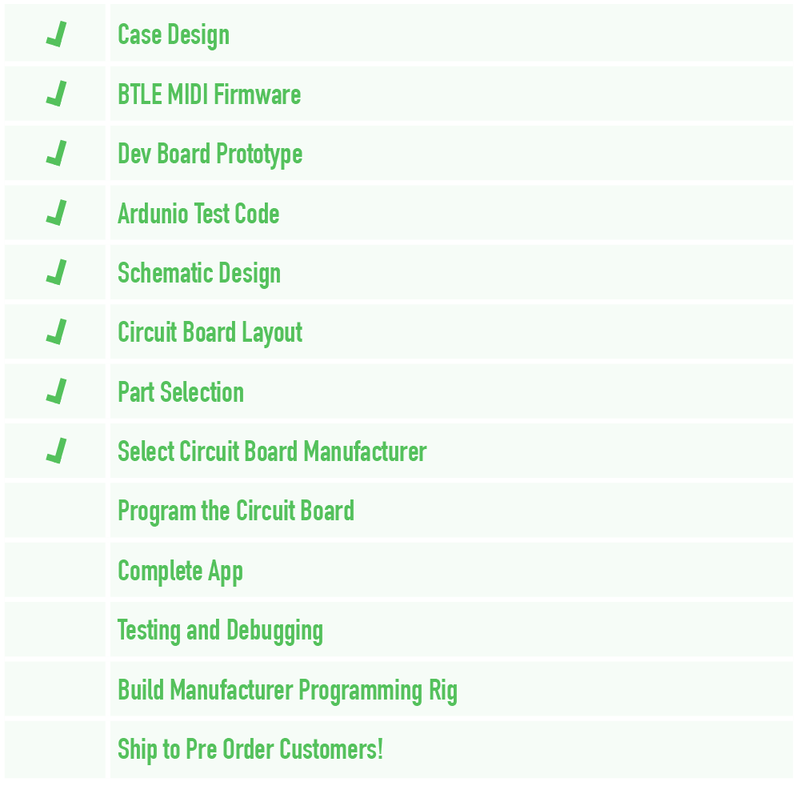 This means that we’ll have a final circuit board in hand soon to complete programming, testing and production. Completing the layout is a big milestone! Dan marathons the final stages in this time-lapse. Design update — more ports! As we’ve finalized the electronics, we improved the design of Wej. The prototype we showed in the announcement video had two USB ports. You could use these for charging your iOS device or connecting a midi controller. The final version of Wej will have three USB ports. Two for USB MIDI, and one dedicated port for charging your iPad or iPhone. This makes Wej a more reliable base for controllers and iPad as you won’t have to choose between power and control. The case design is being refined as well. Revisions to the electronics have taken a little longer than we planned, and we’re now predicting that we’ll be shipping Wej to pre-order customers in 3–5 Months. We’re working tirelessly to make Wej great, and we’ll keep you posted on our progress on the next 4 milestones.